Spotted Peccary Music continues to expand its O3E imprint/sub-label with the release of ONE, the dazzling full-length album debut from DeeperNET. Blending extreme influences from completely opposite ends of the electronic music spectrum such as Goa, Downtempo, EDM, and Psybient, the album offers well over an hour’s worth of music across eight tracks that fuse more aggressive electronic tones and percussion with the delicate atmospherics of ambient. Intricate rhythms, constantly evolving sequences, and ‘wall of sound’ style electronics propel the listener through a deeper network of cosmic pulses and fluid soundscapes. Portland, Oregon-based producer/composer Andrew Miles is the sole creative force behind DeeperNET, and his mastery of all aspects of the production process is evident throughout the album. In-your-face psychedelic electro-acoustics, a judicious and clever use of ambience, creative synth programming and skillful sound design all come together to showcase Miles’ studio chops. “It’s a heavily sound-design focused, visual experience intended to push you further into the subconscious and open new doors in your mind,” explains Miles. “It’s all about shutting out reality and letting the sounds take you to strange new places.” This mind-opening approach to the music is evident in the depth and space of the recording. A big powerful sound with plenty of ear candy for the mind’s eye, dominated by driving rhythms that give way to moments of space and ambience at just the right times – long enough for the listener to catch their breath before the ride continues. 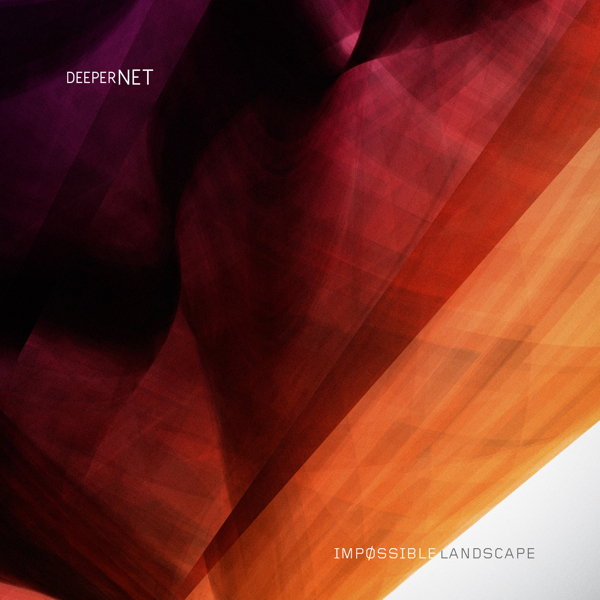 Even though ONE is DeeperNET’s first full-length release, it comes across as the highly crafted work of a seasoned veteran; skillfully executed and masterfully engineered. It’s a real roller coaster ride from start to finish with enough sonic thrills to satisfy even the most well versed electronic music aficionado. DeeperNet, is Oregon- based composer Andrew Miles, who hereby makes his debut on the Spotted Peccary sublabel 0E3. The first thought that came to mind when I heard the first track of "One" were Nigel Stanford and the deep down-tempo of the Ultimae label. Andrew’s highly energetic, electro-acoustic outcome rides the edge of psybient and goa-trance, although atmospheric passages also fly by in the fast-forward cosmic rollercoaster. There’s a slight experimental rim to the music, as Mr Miles now and then comes up with quite extravagant and fat noises to accompany his beats, but it’s the great drive found inside DeeperNet’s not that melodic-flavoured but much tweaked music that really pulls things along until the last piece. Some of the eight tracks though are a bit too busy and upfront to my ears, such as "Neptune". Fasten your seatbelts and off you go! I am not really a fan of Trance, Goa, EBM (what is it exactly?) or hard or psy Techno. On the other hand, one of the things I like about EM is its immense potential to draw musical plans which are out of the ordinary. Sounds, many sounds of all kinds, and ethereal ambiences over rhythms of fire can thus satisfy my eager musical thirst of infinity. 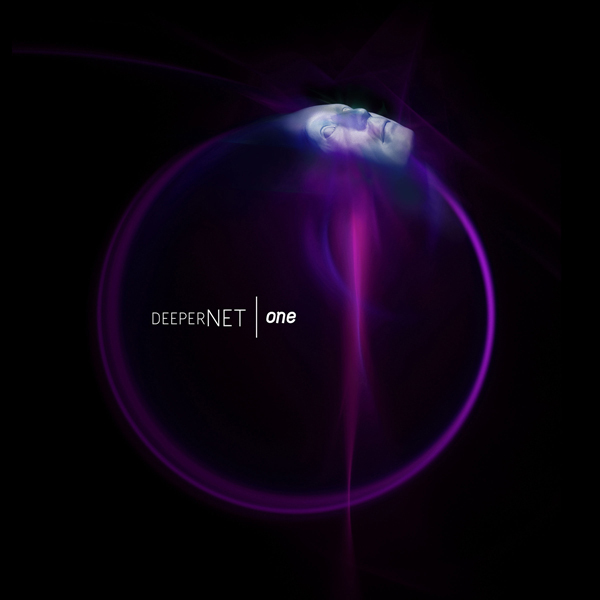 And it's exactly what proposes DeeperNET with his first album “ONE”. Spotted Peccary doesn't stop to amaze by widening its horizons with new artists of which the musical ideals are in total opposition with the very esoteric approach of the American label. After the superb Desatero from Northcore, it's the turn of Andrew Miles and of his project DeeperNET to shake the branches of the musical serenity of Ben Cox's label. The musical and sound exercise that proposes Andrew Miles is one of broken rhythms, chewed and spat out under diverse forms of Trance, GOA and techno between atmospheres of an ethereal and cosmic EM which leave just enough time to allow our ears to breathe. The rhythms are heavy and powerful, bubbling and raging in electronic ambiences as ethereal as wild. Those who know the kind will be easily capable of pointing out the influences. Me, I hear Leftfield, Prodigy, Juno Reactor, Daft Punk and of even a bit of Infected Mushroom grind me the ear in moods which awaken the reminiscences of a Jarre in techno mode. And from the beginning of "Elementary Particles" we understand the attraction of the electronic tones for DeeperNET. The intro is upholstered by layers of synth which float in the furrow of a storm imploding of heterogeneous tones. This brief psybient passage converges on the powerful pulsations of a bass-drum. And there it goes. Boom, boom! The rhythm of "Elementary Particles" is heavy, weighty. It skips casually on one leg in a sound environment fed by electronic tones about which only the imagination can dream and so feed cables and knobs of synths. A line of synth escapes in order to mold a nasal melody, while Andrew Miles splits up the rhythmic approach of "Elementary Particles" by portions, adding tones of bottles glasses, smoke sound hoops and fragments of melodies which get lost in a maelstrom of rhythms that the techno kind catches of its heavy strikings of percussions. The intro of "Mind at Large" is flooding our ears with a thick cloud of quirky tones to the smells of metal ripped by an immense crusher. The delight comes from the rhythm which takes shape by tens of knocks of anvils, pulsations to nervous and minimalist repetitions as well as noises of chains which rush on huge metallic bangings. This rhythm harpooned by a skillful mixture of noises, percussions and pulsations turns in the curves of a very melodious stroboscopic line before giving up for a more subtle passage which is near of cosmic ambient in the 2nd portion. This is very good. The cosmic sound elements are legions in “ONE”. On "Sirens" they knock off a linear pulsating and stroboscopic movement of a psy-trance odour. The rhythm hangs onto a movement of sequences with pulsatory chords which skip and resound in a dodecaphonic structure. A brief cosmic passage slows down the heat of a tempo which gets lost in the echoes of the voices of cosmic mermaids before spurting out again with a lesser velocity. And so go the 66 minutes of “ONE”. Closer to hard and pure techno, "The Eagle Has Landed" and "Moksha" wriggle on rhythms as so lively as the synth layers of which the delicious harmonies and the hatched hoops are floating in the opposite direction of the attacks of a technoïd rhythm. DeeperNET takes a jealous care of breaking his rhythms by inserting some cosmic phases, except for "Tiny Paper Squares" which bubbles up of its percussions, sequences and futuristic sound elements. Hidden like a beast of electronic rhythm to the powerful psychotroniques drives, "Neptune" depicts marvellously the meanders of a psy-techno with a rhythm as much smooth as its melody to the hoarse and nasal breaths. "The Gate" ends by a stunning techno which resounds on the quiet among synth lines with a bit of musical barkings and chords of which the tones of glass and of xylophone are swirling on a structure in perpetual movement. We tap the foot, we bang the head and we listen to all these quirky tones melt themselves in an electronic melody divided up by thin stroboscopic lines. Psychedelic techno and IDM wrapped by ambient phases, “ONE” knocks out our senses and tears our eardrums as much as it excites the 10 toes of the most awkward feet. Spotted Peccary takes a beautiful risk by opening a breach in its catalog to offer a livelier EM while keeping heading on the progressive approaches. And albums such as “ONE”, I would take it regularly. DeeperNET presents a mosaic of rhythms which, if they are alike, burst out of freshness and originality with this mixture of ambient phases and unbridled rhythms which are melting in a deafening techno. My walls trembled, my floors jumped and my ears loved it. Portland, Oregon-based sound designer Andrew Miles here presents his debut release, as DeeperNET, and it's a well-done mix of trance techno and ambient electronica. Opening with the 9-minute deep goa pulses of "Elementary Particles", the psy-trance elements of "Mind At Large" even harbor some industrial elements alongside the steady 4/4 beats and celestial sequences. "The Eagle Has Landed" is a nearly 9-minute techno-goa beast, while "Tiny Paper Squares" is another insistent rhythmic pulse, with percolating analogue sequences and intricate programming. "Moksha" opens with a lovely deep-space ambiance, and "Neptune" is darkened black light electro that would fit perfectly well on a club floor sandwiched between Front Line Assembly and some hypnotic trance thumper. "One" is a perfectly realized album of extended deep club cuts that don't approach any outward commerciality, thankfully. Miles' powerful and clean electro-trance is dark, edgy, and more than enjoyable to these (usually) jaded ears. Of a somewhat related yet different nature is the music of Andrew Miles, whose 'One' is (obviously) his debut album as Deepernet. He is from Portland, Oregon, and started out with four track tape recordings and sound effects, but these days is no doubt in digital technology. His influences are from Goa, downtempo, EDM and psybient - which are apparently opposite ends but who I am to disagree. The eight tracks on this album are usually around the eight minute break and the ground work is a strong foundation of synth like music. In that respect he connects to the cosmic music which is to some still a trending topic, but Miles adds a lot of rhythm to these pieces and on some occasions flight control voices via means of sampling. I'd like to add a musical genre to list here and that is ambient house, as what Miles does here comes pretty close to the music that was so popular in the mid 90s, and especially it comes close to the ones I heard on Silent Records, and their off-shoot labels which were dealing with the more techno end of ambient music. This album is a time-machine bringing me back those days, and boy, I like that. Lengthy spacious synth/sequencer/rhythm driven music. I was doing lots of other things when playing this, going back and forth in social media, reading a bit in today's newspaper, and vacuum cleaning, along which I had this album on repeat for a while. Did I hear something in here that I haven't heard before? Not really, but did I hear much of that recently? Not really either, and that makes this into one hell of a fine record. Once sequencers became available and started getting attention with artists like Kraftwerk and Tangerine Dream, it quickly became evident that dance music would never be the same. "I Feel Love" provided the first of many disco, techno, electro, and (insert subgenre here) hits and misses, and even the German pioneers of sequencer-based music succumbed to the lure of dance club popularity. But all of that was a long time ago, and modern electronic artists have a wide palette of established sounds to draw from. DeeperNET's One utilizes a variety of those sounds, at times drifting off like Phaedra or Rubycon, at other times getting down with a pounding synthetic drum parts. 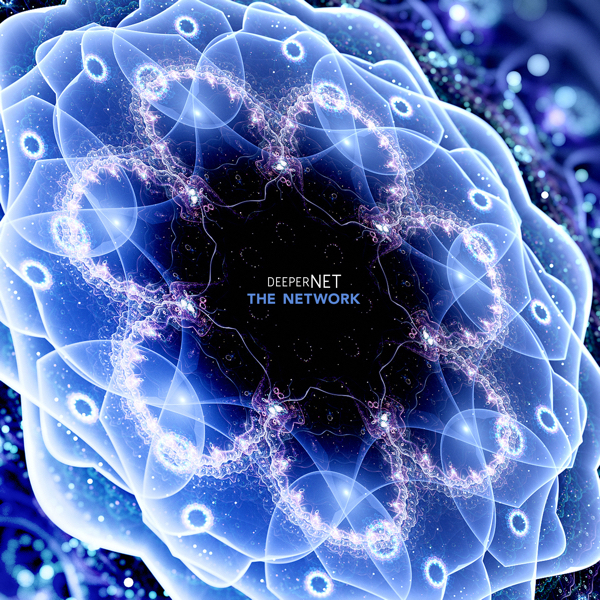 With a name like "DeeperNET" you might expect ambient drifting, but you won't get it on One. The standard elements of electronic space music are here: slowly phasing string sounds, bubbling arpeggios, echoing glitchy twitches, headphone-friendly stereo panning. Everything stays comfortably within the typical parameters; you can count on each track beginning with drifting atmospheric sounds, but within a minute, the beat will be present, and it will be in 4/4. But for all the predictability, it is an enjoyable listen, beautifully produced and full of lovely sounds. It's the kind of thing you could play when having friends over who aren't into experimental music: it won't scare them away, and shouldn't get too boring for those who are. There's a place for pushing boundaries and trying new things, but DeeperNET isn't headed that direction.